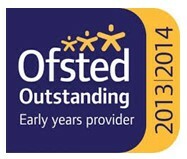 …to The Nursery at St Margaret’s, rated “outstanding” by inspectors. We understand that the day your child joins a nursery is a huge milestone for you both. But we’re here to hold their hand – and yours! Tucked away in acres of listed parkland on the Suffolk/Essex border, we deliver superb care and learning for children aged 2 to 5. We are located in the village of Gosfield, North Essex, near the market towns of Halstead, Braintree and Sudbury, Suffolk. We operate during term time, following the same terms as the school. Our core hours are 8.30am – 3.30pm, with wrap around care available between 8am and 5.20pm. Our early years teaching is about creating a firm foundation for your child’s development. Small classes mean our specialist staff can focus on your child and work at a pace that suits their ability, recognising their strengths in a warm, attentive and approachable way. Your child’s health, wellbeing and safety is of prime importance to us, and we never lose sight of the fact that children learn through a combination of teaching, playing, sharing and caring. The nursery children have French, Music and PE with the same specialist staff as the rest of the school, making the most of the grounds, music and sporting facilities to extend their learning. We regularly hold complimentary, fun events for pre-school children and their parents to give you the opportunity to visit and experience nursery in very relaxed and informal circumstances. We would be delighted to welcome you. If you do have any questions or we can help with your search at all, please do not hesitate to get in touch. Contact us on 01787 472134 or click here to complete the online enquiry form. It is anticipated that all children who join nursery will complete the early years curriculum with us in Reception and then continue upwards into Year 1 and beyond. Our nursery children are guaranteed a place in Reception and therefore you do not need to apply for a school place. Integration with the rest of the school is important as it helps develop social skills, independence and enables a smooth transition into Pre-Prep. Opportunities include participation in whole-school assemblies, productions, speech day, sports day, mixed playtimes and joint lunchtimes with Pre-Prep. Children benefit from a highly stimulating, well-planned and consistently dynamic approach to teaching and learning, delivered by experienced and dedicated staff. 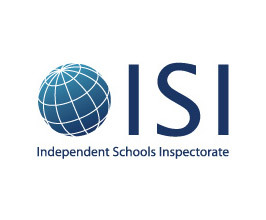 A very firm and well-established ethos underpins the early years provision, so every child’s unique needs are met with consistently high quality of teaching and meticulous monitoring. The quality of the provision is outstanding for all children.